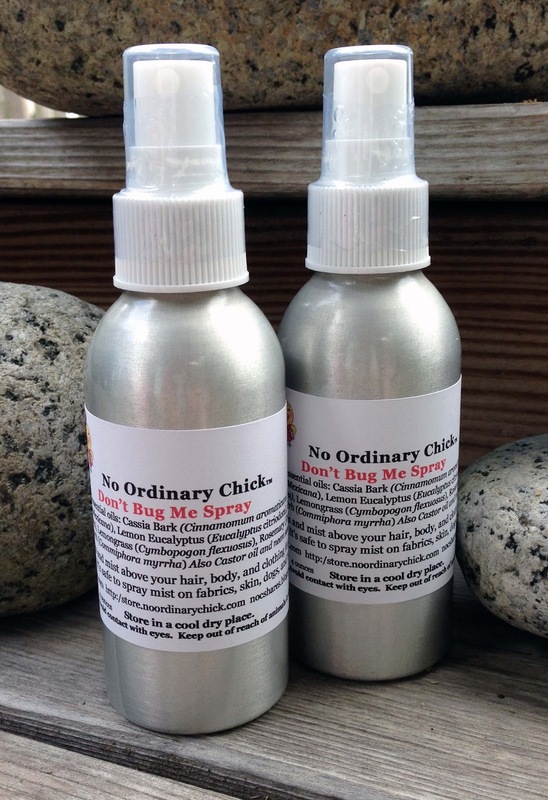 Hopefully you’re choosing a Natural Bug Spray these days as there’s no doubt most insect repellants out there are loaded with toxic chemicals including the pesticide DEET, which is so poisonous that the Environmental Protection Agency says you should wash it off your skin when you return indoors, avoid breathing it in, and not spray it directly on your face. *DEET is an effective solvent, and may dissolve some plastics, rayon, spandex, other synthetic fabrics, and painted or varnished surfaces including nail polish. So how do you know the bug spray you choose is safe? As a Certified Aromatheropist the first rule is the FDA requires that all the ingredients be listed; not blended essential oils, but each essential oil and ingredient are listed, if they are not the product is not a safe choice. There are a large group of essential oils, carrier, oils, and extracts that are efficient pest helpers, not to mention all the herbs! Some are safe for dogs and horses as well as people, and a few are safe for cats although they are the most sensitive. A quality Geranium Essential Oil will kill ticks on contact; we use a q-tip to dab it directly on, wait a moment and then removing the dead tick is easily done with a tweezer. This is an ingredient you may want to look for if you’re going to be in the woods. 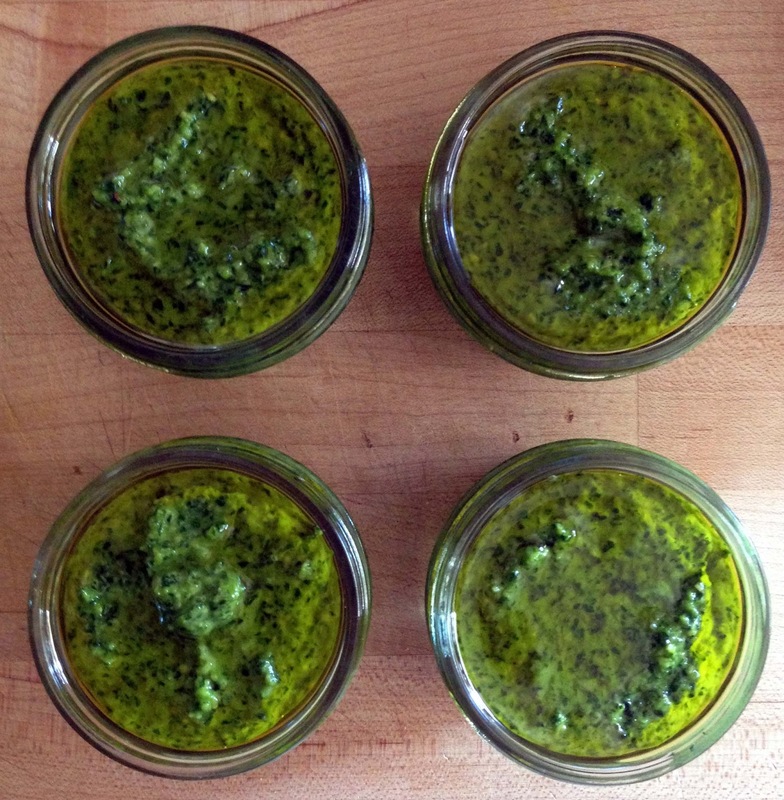 Every year we like to make a fresh pesto with our basil harvest to enjoy during the winter months. 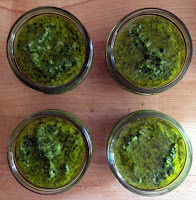 Our gang likes a traditional pesto of basil, garlic, olive oil, parmesan cheese, and pine nuts seasoned with sea salt and ground black pepper. 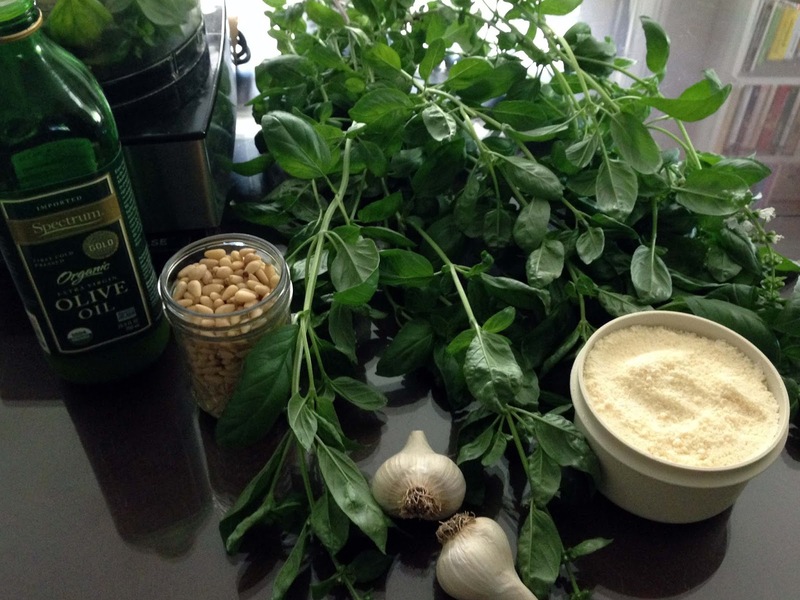 Combine the ingredients together in a food processor, and adjust the olive oil, and taste from there. Then we use mason jars to freeze our bounty 9-12 months; fill them, and cap the mixture with a coat of olive oil to seal for freezing. 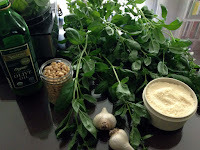 You can also try alternative ingredients such as cipollini onions, pecorino romano cheese, sundried tomatoes, walnuts, etc. Stevia is associated with the Element Water and the Planet Jupiter. The stevia plant is part of the Asteraceae family, related to the daisy and ragweed. Several stevia species called "candyleaf" are native to New Mexico, Arizona and Texas; but the prized species, Stevia rebaudiana (Bertoni), grows in Paraguay and Brazil, where people have used leaves from the stevia bush to sweeten food for hundreds of years. In traditional medicine in these regions, stevia also served as a treatment for burns, colic, stomach problems and sometimes as a contraceptive. If you’ve ever tasted stevia, you know it’s extremely sweet. In fact, this remarkable noncaloric herb has been used as a sweetener and flavor enhancer for centuries. Crushed dried leaves (by hand or in a coffee/herb grinder) can be used as a sugar replacement in baking and cooking, but remember stevia is many times sweeter. You can also make your own liquid stevia sweetener like simple syrup by bringing ¼ cup stevia leaves and 1 cup warm water just to a boil, then cool and keep refrigerated. I like to use this method for cocktails, and to toss with fresh fruit for a bit of extra natural sweetness. 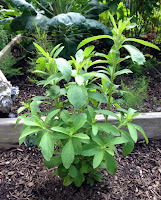 Stevia plants do best in a rich, loamy soil; the same kind in which common garden variety plants thrive. Tender young stevia plants are especially sensitive to low temperatures so it’s best to wait until the danger of frost is past before transplanting them to your garden. Harvesting should be done as late as possible since cool autumn temperatures and shorter days tend to intensify the sweetness of the plants. Once leaves have been harvested you will need to dry them; on a warm fall day your stevia crop can be quick dried in the full sun in about 12 hours. (Drying times longer than that will lower the stevioside content.) A home dehydrator can also be used, although sun drying is the preferred method. Dried leaves can be stored in airtight jars in a cool dry cabinet.